Former Texas Gov. Rick Perry, who was nominated by Donald Trump to lead the Department of Energy, said Thursday that he regrets his previous calls to shutter the agency, testifying before the Senate Energy and National Resources Committee. 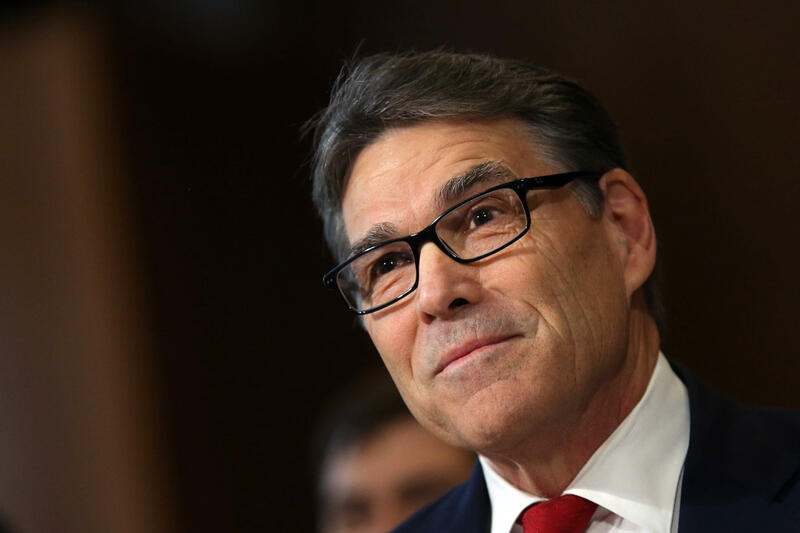 “My past statements made over five years ago about abolishing the Department of Energy do not reflect my current thinking,” Perry said in his opening remarks. Over the past several weeks, President-elect Trump and his transition team have faced criticism over their seeming targeting of employees who have worked on climate change research. “The question is how do we address it in a thoughtful way that doesn’t compromise economic growth, the affordability of energy or American jobs,” he said. Perry, who would be in charge of the Energy Department’s over $25 billion budget if confirmed, also took questions on the controversial questionnaire sent out by the Trump team to the agency’s employees seeking information about those that had worked on President Obama’s climate change-related efforts. The former Texas governor disavowed the transition team’s survey and promised to “protect” the individuals in the scientific community from targeting. Perry, who had some vitriolic spats with Mr. Trump while on the campaign trail, pledged Thursday to carry out the president-elect’s energy policy, which includes investments in renewable fuels. “My understanding from having conversations with president-elect Trump is that he truly is an all-of-the-above supporter of American energy,” Perry said. Still, some have criticized the Texan, who oversaw the management of an oil-rich state for nearly 15 years, for his ties to fossil fuel industries. Until recently, Perry sat on the board of Dallas pipeline company Energy Transfer Partners, which is building the Dakota Access Pipeline. He resigned last year, following Mr. Trump’s announcement naming him to the energy secretary position. In one moment of levity during his Senate questioning, Perry drew some laughter for his comments to Minnesota Sen. Al Franken, a former “Saturday Night Live” comedian. Several members of the committee burst into laughter, with Franken shaking his head.